Woodgrain laminate bookcase features a contemporary design that fits perfectly in professional environments. Commercial-grade side panels with protective 3 mm edge banding provide excellent dent- and scratch-resistance. 11 3/4" deep (three adjustable) shelves accommodate a wide range of materials. Top panel is 14" deep for door installation. Tight, dowel and cam-lock assembly provides a clean look while ensuring overall stability. 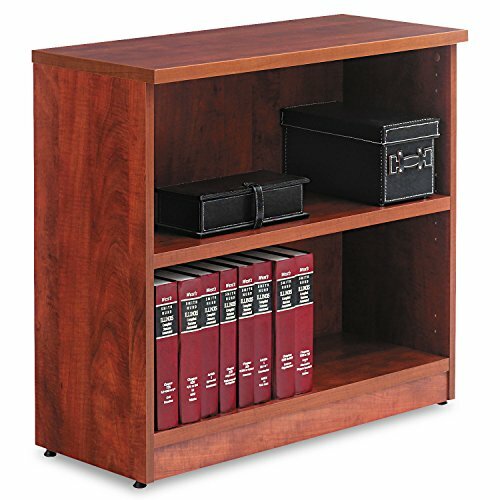 Color: Medium Cherry; Material(s): Woodgrain Laminate; Shelf Count: 2; Overall Height: 29 1/2". If you have any questions about this product by COU, contact us by completing and submitting the form below. If you are looking for a specif part number, please include it with your message.